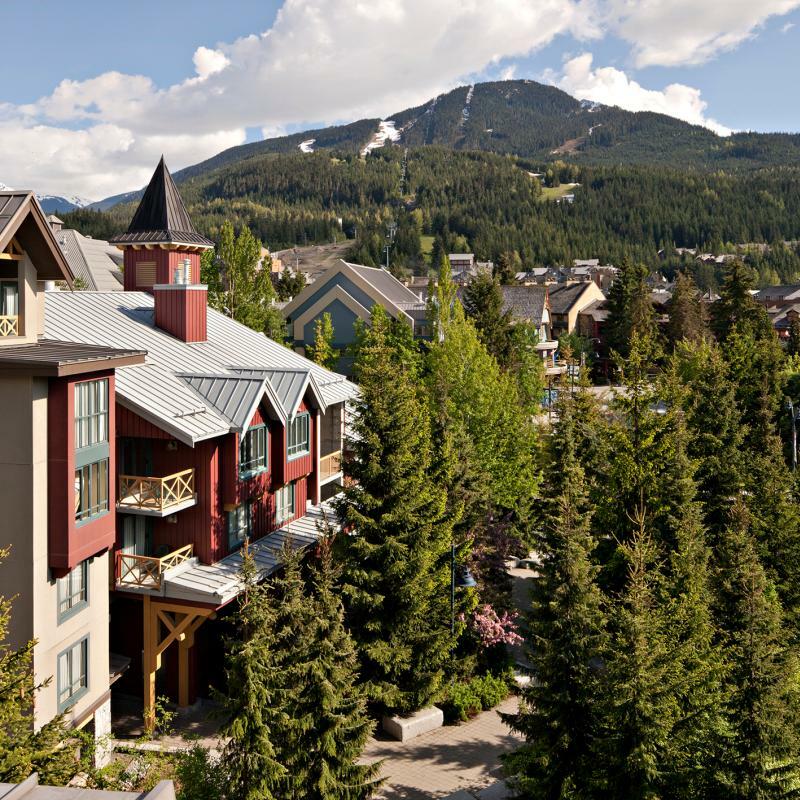 The Delta Whistler Village suites is in the heart of the shopping and restaurants of Whistler village. 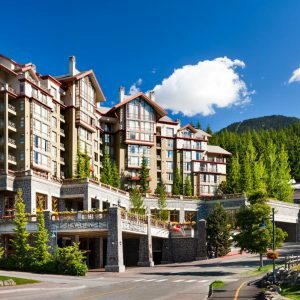 It has a lovely indoor/outdoor pool, hot tubs and sauna plus the Brickworks Public House which is a good spot for a relaxed dinner if you do not want to go out and explore all the restaurants of Whistler. 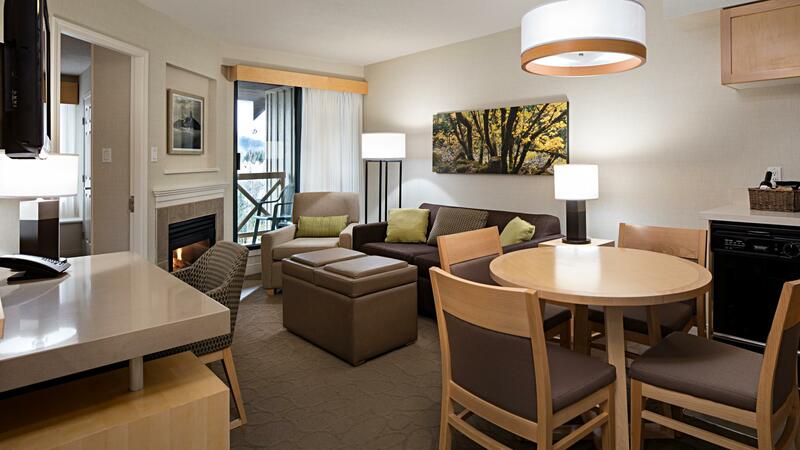 The variety of rooms make the Delta Whistler Village suites a particularly good choice for families or groups of friends travelling together. 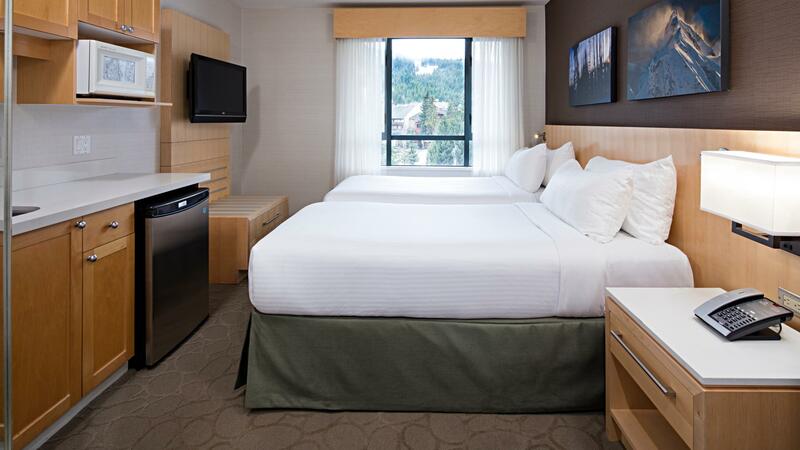 Spacious, beautifully appointed suites include a full kitchen, complimentary high-speed Wi-Fi, Guest room entertainment featuring 55” Smart TV’s, a gas fireplace and an in-suite washer and dryer. 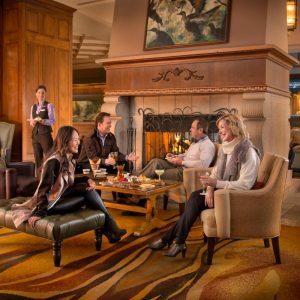 There is a heated outdoor pool with indoor access, 24 hour fitness center and places to eat onsite – Hy’s Steakhouse or Brickworks Public House. 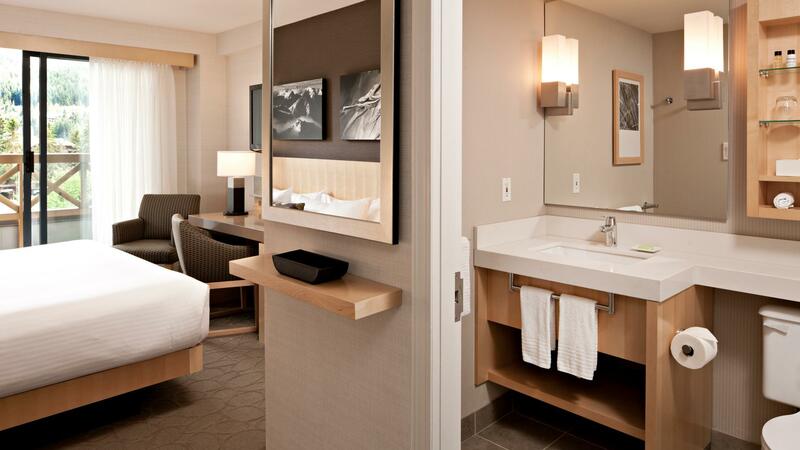 Guest rooms – have just one queen size bed with a small kitchenette. 1 Bedroom Suites – have either king, twins or queen bed plus a sofa bed. 2 Bedroom Suites – have a queen bed in the master, with twins or queen in the second. 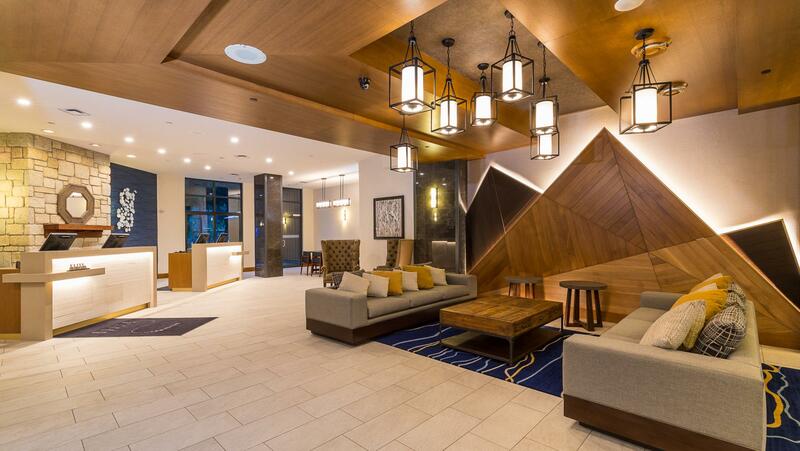 All rooms have warm gas fireplaces, balconies, living rooms, fully equipped kitchens, in suite washer and dryer, air conditioning, entertainment packages with remote cable television and On Command movies and games, complimentary wifi access. 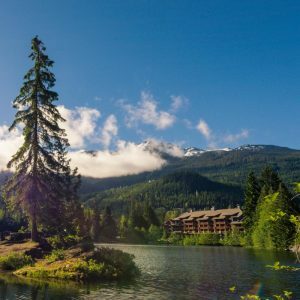 An excellent family hotel near all the Whistler action.